Original color pencil portrait of Sharon's appaloosa gelding "Bugsy". 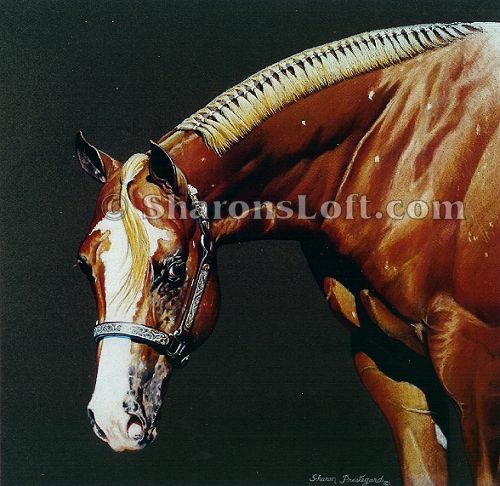 This artwork was featured on the cover of the Nov. 2003 APPALOOSA JOURNAL World Championship Issue which included a personal story about Sharon and her relationship with horses and art. Original has sold. Inquiries accepted regarding prints.